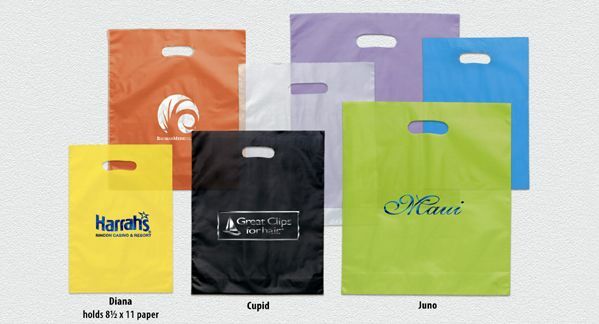 Bags & Totes - Frosted color plastic bags with die cut handle and bottom gusset. Foil Imprint. High Denisty 2.5 mil frosted color plastic bags with die cut handle and bottom gusset. Foil Imprint. Product size: 12"W x 15"H x 3"